It works by comparing depths and drawing lines when there are discontinuities - which is normally at edges. The line colour, thickness and detection thresholds are freely adjustable. Unfortunately, right now it doesn't work with FSAA + OpenGL. //for this technique) you will pay the performance price for using a decompressed buffer. //See section '4.1.4.2 Depth Textures' of the manual for an explanation. 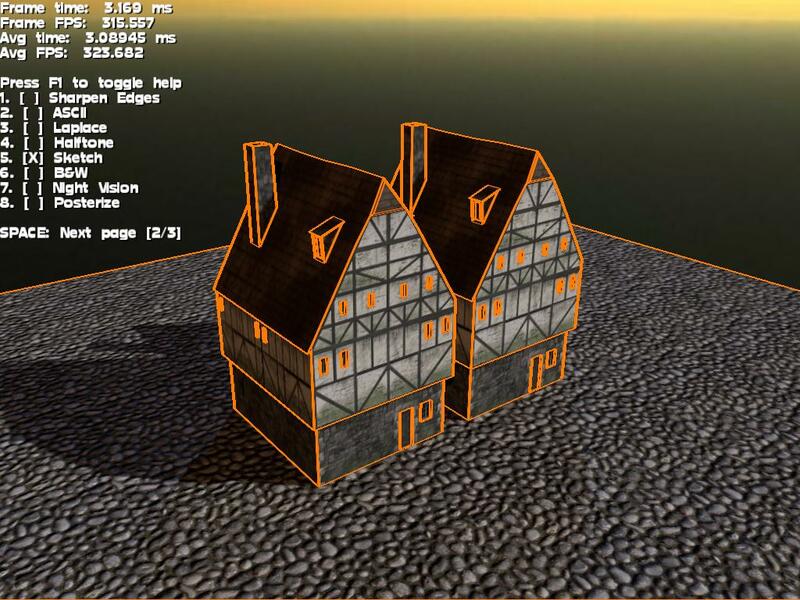 //then 'depthTextureCopy' will internally point to the same buffer as depthTexture. //For a lot of cases this is harmless and a nice fallback. //The division will keep "linearDepth" in the shader in the [0; 1] range. No WIP posts for a year? 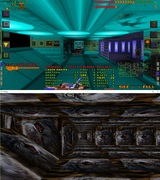 Loading level 1 from System Shock 1 in Ogre 2.2. The map data is compressed in a confusing way with 14 bit words, 16 bit dictionaries of offsets and lengths and other stuff. The third party SS1Edit tool came with docs and lua source, but the docs are confusing for the compression and I got heap corruption when I tried to port the lua to C++, so I gave up and just ran a tool to decompress the map's data file. Loading a decompressed map is MUCH easier. Although then we get into the map data, where the docs were wrong again (saying each tile was 20 bytes when they are 16). Argh. I got that working though. Each map is a 64x64 grid. Each tile of the grid has a floor height, ceiling height, slope amount and shape. There are 18 shapes (solid, empty, diagonals, valleys, ridges, ramps). Interesting. What did you do for material conversion? I just put a pallas cat on every wall. I haven't looked at materials yet.